Not very elegant but my very favourite and most comfortable footwear. Walk over to Ailsa’s blog “”Where’s my backpack” for a fill of feet. Yep, I have similar shoes! My sister refers to them as “my ugly shoes” she would not be seen dead in them. I definitely go for comfort. 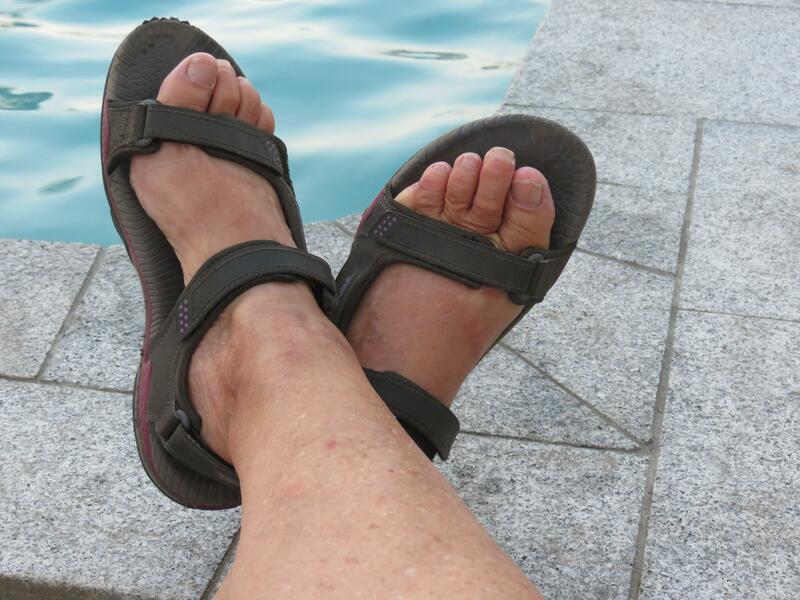 I had a similar pair, could go into water in them too, but they wore out sadly… And now I wear Birkenstock sandals. But I prefer bare feet as much as possible. I’m afraid my feet aren’t very elegant. Bare feet = earthing out, a phrase I first heard from an 80+ wwoofing host way back in the 1980’s. 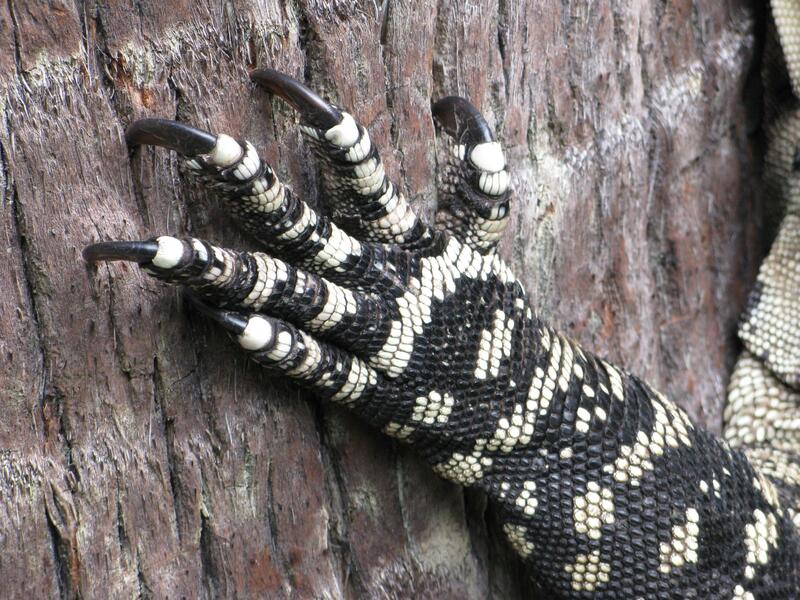 I wouldn’t mind your second pair of feet: plenty of grip, and such a great pattern.